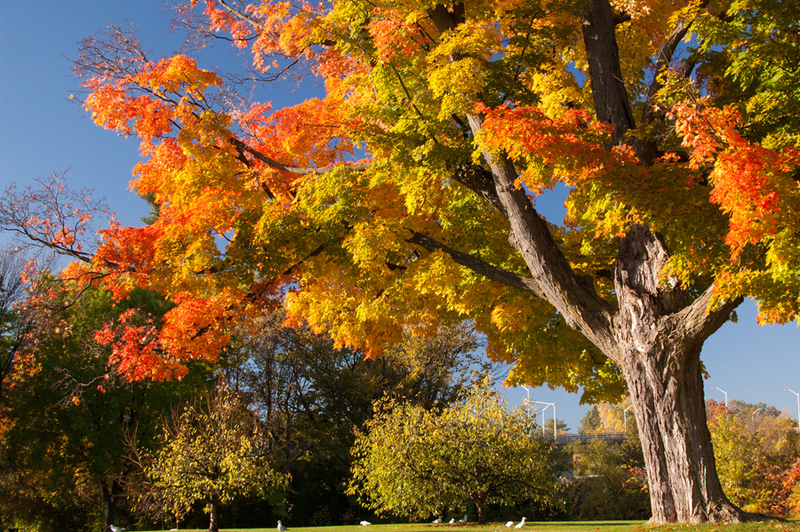 Fall in Ottawa can be stunning – but it’s only at its peak for a few days. Whether you’re looking for a walk full of wonder or somewhere to take photos, these places will help you enjoy the best that the season has to offer. 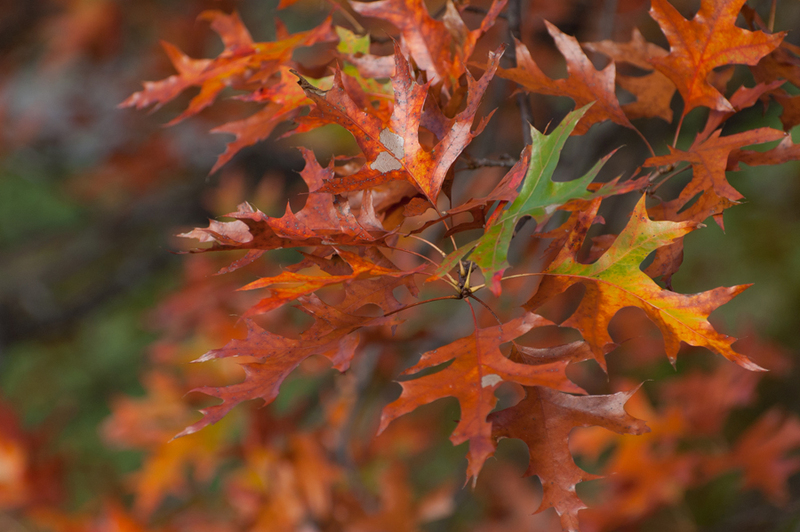 To help time your walkabouts to the fall show, check out the fall colour report. 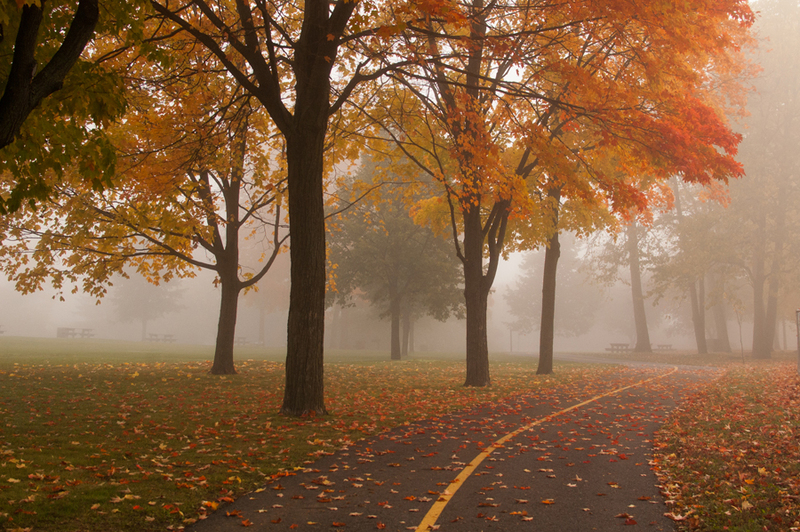 But let’s be clear – not all of Ottawa’s beauty spots work for fall. The secret is lots of maples for that blazing fire you want to see before the ashes of winter cover the landscape. Here are some of the consistent winners of all the parks I’ve tried in the Ottawa area. 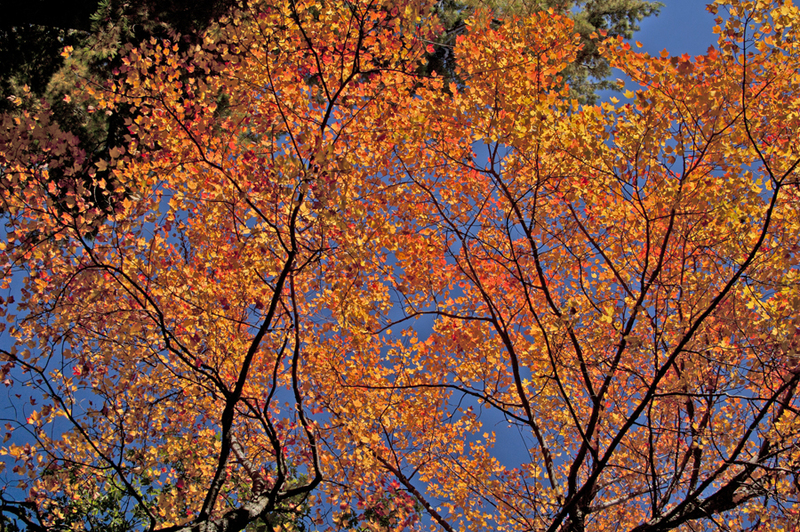 There’s a reason Gatineau Park tops a lot of fall colour lists – it’s amazing. Even when the colours in the city overall aren’t that spectacular, Gatineau almost always delivers. At a higher elevation than the rest of the Ottawa area, the slightly deeper chill intensifies colours. There are also dozens of unique trails that are accessible for anyone of average fitness or beyond. Beware however – Gatineau Park is consistently crowded. Go in the very early morning to catch the light and get a parking space and avoid the worst of the crowds. Bring a beverage and a snack, and stay until lunchtime to get the full range of lighting opportunities. More open spaces look better by dawn, but deep in the woods a strong noonday sun helps bring out the vibrant tones in the leaves. Dusk is the right time to be at Champlain Lookout for photos, and to increase your encounters with wildlife. 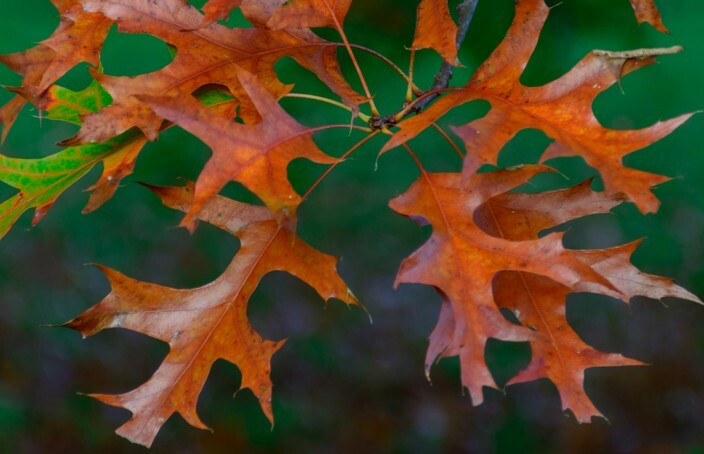 A healthy population of maples helps make this park one of my autumn favourites. There are also some interesting pavilions that add convenient rest stops and interesting focal points for photos. Again, go in the early morning – much of the park is exposed to the east, which is great for photos. If you have a bicycle, you can enjoy a trek up the bike path to Mooney’s Bay and Hogsback. The colours aren’t spectacular, but it is lovely at any time of the year. While the Arboretum doesn’t deliver a lot of the fieriest colours, it’s still a beautiful place to take photos in the fall. There are lots of beautiful old trees that are easily climbable for portraits. I still find myself returning every year, because the colours don’t usually start here until after other areas are done.There are also some subtler hues and moodier photo opportunities if you have the patience to look. Another good thing about the Arboretum is that there are nearby Experimental Farm has gardens and fields where you can take other kinds of fall photos, if you’re willing to expand beyond the trees. Ottawa is full of tiny parks and and tree-lined streets that present endless possibilities for photos. 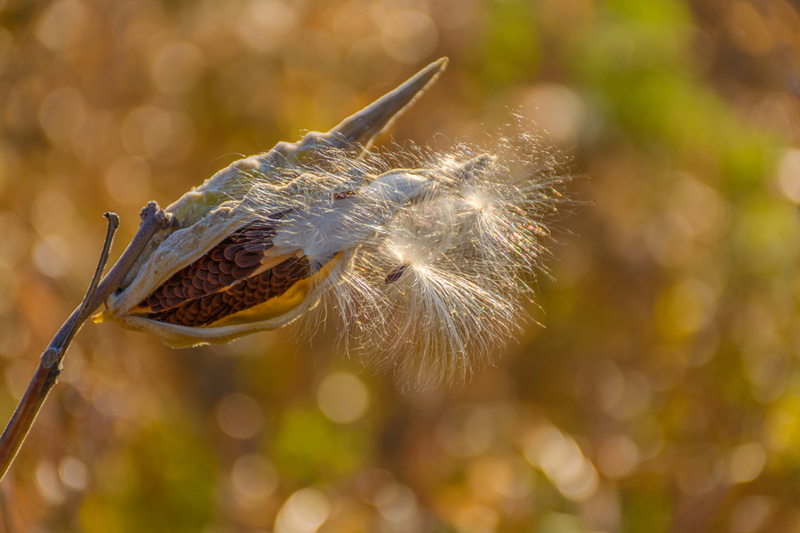 I found this patch of milkweed in a park near my parents’ house, and spent hours on Thanksgiving tromping through the undergrowth because the light was so perfect. Taking photos in the outdoors is one of my favourite ways to escape, and usually spend summer outings “scouting” new fall locations. Over the coming years I will be expanding this post as I find new spots that are consistent winners. Do you have a favourite park for fall colours that you think I should try? Please help me out by sharing them in the comments below. 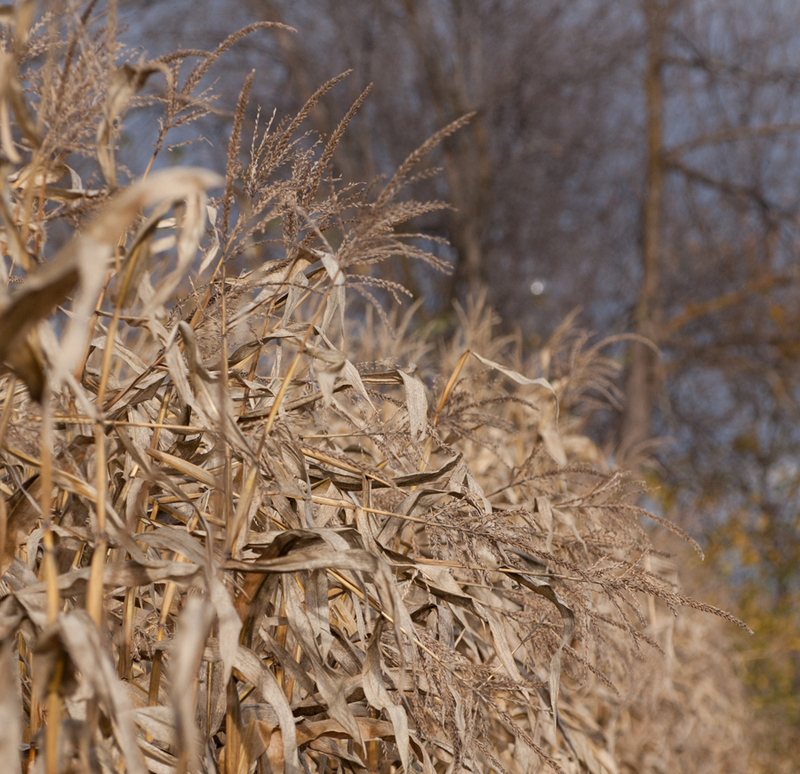 – All photos by Jennifer Priest except the corn one, which was shot by my husband Justin. I also took some corn photos, but his was better.